For our first Beyblade trick, put a drop or two of liquid detergent in a plate or shallow bowl with about 1/4 inch of water. 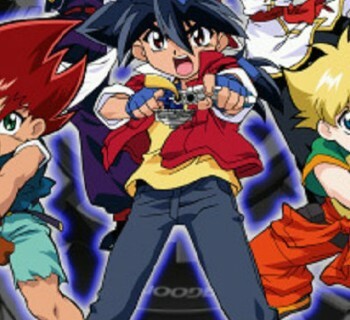 Launch the Beyblade onto the bowl and watch it create bubbles. The faster the Beyblade spins, the more bubbles it will make. 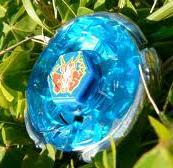 Using a Beyblade with left SG casings, place an attack ring to the Spin Gear of Trygle. 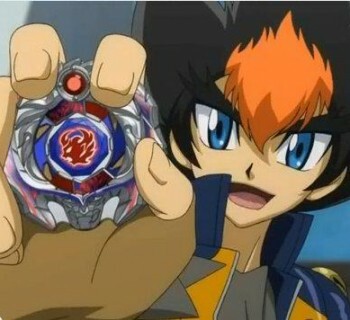 Then, take off the weight disk and base of the Beyblade. Launch the Bey from 2 to 3 feet above the ground. Observe how it flies and bounces. Get a Beyblade with a Hole Flat tip and insert a toothpick into the hole. 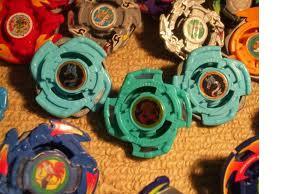 Launch the Bey like you normally would and watch the Beyblade spin on its stilt. is there any trick that i can make my bey remain in the air for a bit?